In order to positively impact and assist the St. Louis Community, the J relies on the generous support of our funders, donors and sponsors. Due to their contributions, the J has been able to provide quality programs, education, facilities and more for more than 130 years. We thank these organizations for the many ways they contributed and enhanced the J. At The Staenberg Group, we have developed a road map for success. Our strategy is simple. Design properties based on market research to achieve the goals of our tenants, partners and customers as well as enhance the quality of life in the communities we serve. Develop efficiently through deep industry knowledge and relationships, high-level talent and in-house financial resources. Deliver outstanding shopping center experiences to our tenants, partners and our customers. It’s how we do business. It’s our commitment to you. We invite you to join us on the road to success. The Staenberg Family Foundation’s highest funding priority will be supporting services, projects and programs directed toward creating a thriving Jewish community. The Foundation’s other significant areas of interest are services, projects and programs relating to Arts and Culture, Children, Education, and Medical Research, which work toward the betterment of the St. Louis metropolitan area. 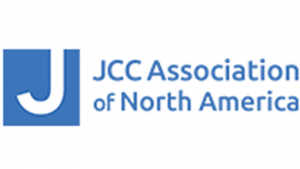 Jewish Federation of St. Louis is the Jewish community’s central fundraising and planning add ress. Founded in 1901, it is one of the region’s oldest and largest nonprofit organizations. United Way of Greater St. Louis serves 16 counties in Illinois and Missouri with a population of nearly 3 million people. We unite people of different backgrounds and interests in an effort to strengthen health and human services in Missouri and Illinois. builds collaborations with the public and private sectors to meet those needs.